SnSnap is partially in charge of the “Instagram Campaign” project for the Japanese Sumo Association which is implemented in all sumo wrestling locations for 2018. ①Increase awareness of the official Instagram account and followers ② Provide more fan service to visitors ③ A campaign which relies on word-of-mouth to increase interest in sumo wrestling among the younger generation apart from those in attendance. Participants were from a wider age range than originally expected and it was a successful project indicated by the long line of participants waiting to try out the services. Improving visitor satisfaction was possible by implementing different services including: preparing and providing 15 types of card designs, having 4 types of frames available for selection, and preparing a variety of original items. 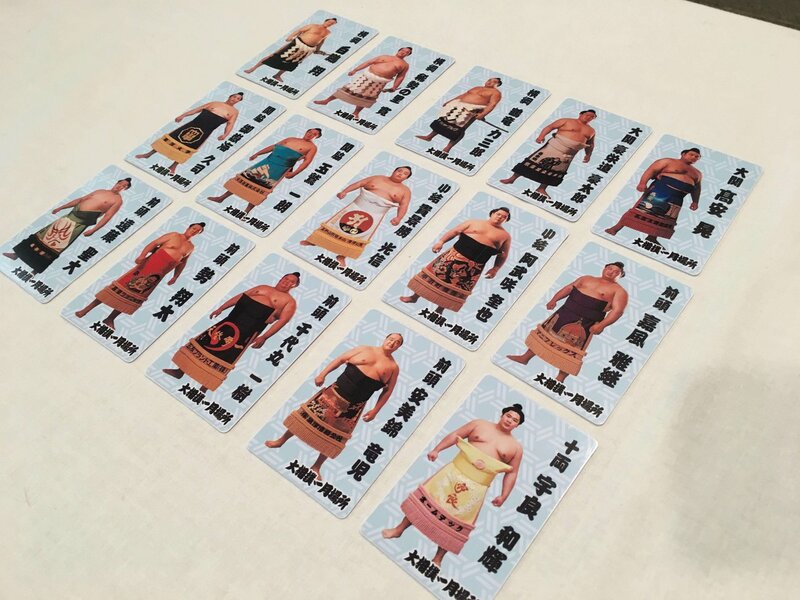 ■ In the January sumo location, 15 types of card designs were printed randomly with #SnSnap Pro. #MirrorSnap was also offered to capture photos with digital frames with nishikie (color print) designs. 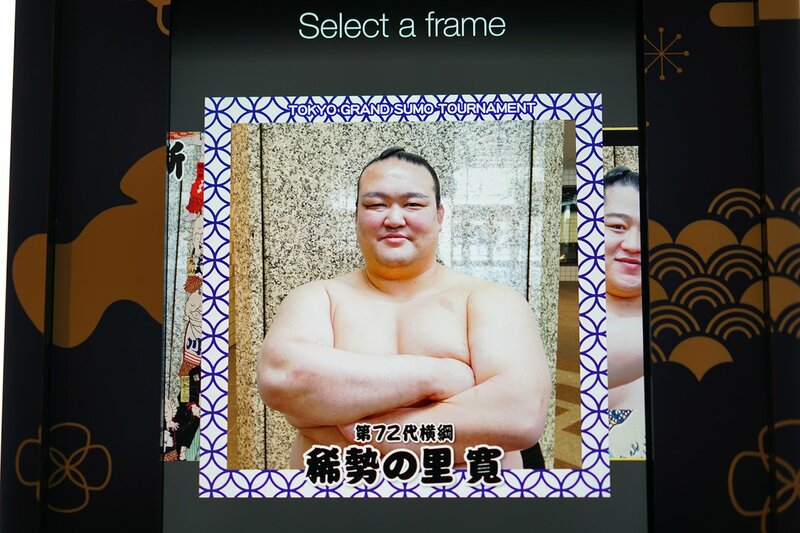 ■ In the March sumo location, we provided #MirrorSnap with a popular nishikie design frame from the January location and an animation frame of Hiyo no yama taking part in sumo. 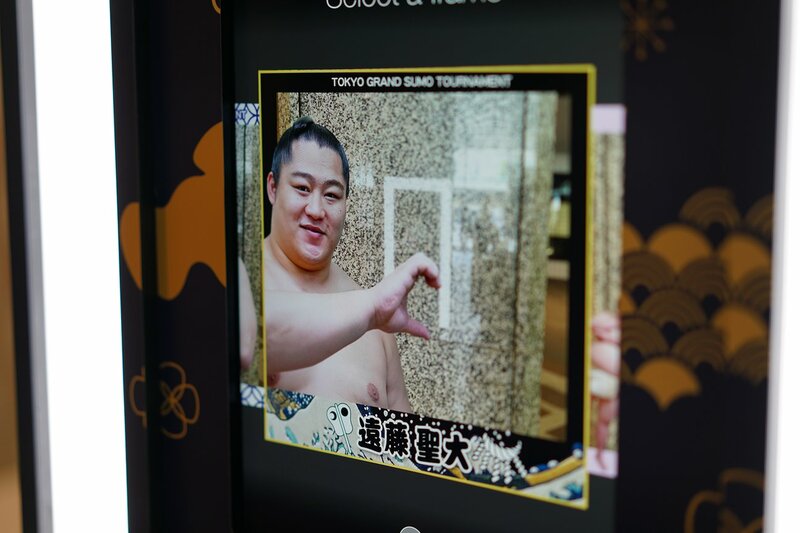 ■ In the May sumo location, “Commemorative Photo Area with Sekitori Frame!” and “#Oshi Rikishi Campaign” were held. We introduced #MirrorSnapPro and had participants select their favorite design from four “Sekitori Frames” and provided the photo data and original design cards to take home.